Little Known Details About the Beautiful Audrey Hepburn. 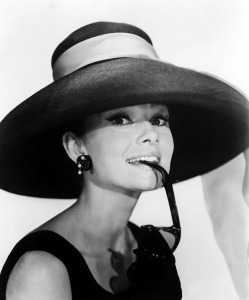 When we hear the name Audrey Hepburn, we each probably visualize her in our mind in one movie or another. She has overcome all generation barriers as an example of style and class. In fact, she may be the first we think of when it comes to style. What was your favorite movie that starred Ms. Hepburn? Roman Holiday? Sabrina? Breakfast at Tiffanys? She was featured in some wonderful roles that seemed to be made for her. I think my personal favorite was Wait Until Dark. The suspense and her charm made that one I’ve watched repeatedly over the years. Though nominated several times, she won an academy award for Roman Holiday, one of her earliest films. She did receive a second oscar, though it was not long after her death. The award was the John Hersholt Humanitarian Award, presented in 1994. The movies she was nominated for the award included Nun’s Story, Sabrina, Breakfast at Tiffanys and Wait Until Dark. It would be fascinating to look back to the dresses she wore to the awards ceremonies she attended, wouldn’t it? Style was huge in those days. 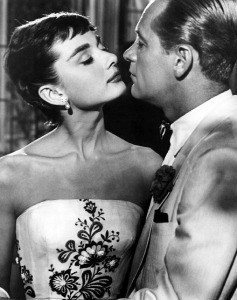 Givenchy was responsible for dressing Audrey Hepburn in most of her films. When he first met her, he was expecting another Miss Hepburn, namely Katherine. He was disappointed and nearly refused her, but the two became very good friends. Mr. Givenchy said that in all of the 35 years he dressed her, her measurements stayed the same. That’s an amazing fact to me! She spoke several languages. Dutch, English, Italian, German, Spanish and French. I wonder how common that is these days. Born in Belgium on May 4th 1929, she developed whooping cough at 21 days old. Her heart actually stopped beating, to be revived by her mother with a spanking. Part of her youth was spent in Europe during World War 2. After living in England several years, her family returned to the Netherlands thinking they would be safer there. They weren’t able to get away from it though. Audrey suffered from malnutrition during those years. At times she served as a courier during the war, delivering packages for the Dutch resistance. During the war years, seeing the trains filled with families headed to the concentration camps—including the children—influenced her passion to help save children later. She worked with Unicef in behalf of children. Central and South America, Somalia, the Sudan, Ethiopia were very discouraging to her. She saw first hand in some areas the supplies were there to help the people but couldn’t be delivered because of the battling factions, and corruption. Turkey was a positive though, seeing how Unicef was helping that nation. She traveled extensively for them, often to difficult places. She died much too young, at the age of 63, of appendiceal cancer. Audrey Hepburn, now an icon, was (and still is) surprisingly well liked. In the biography by Barry Paris he begins with that; no one has anything bad to say about her. Apparently she was kind and warm and beloved. Rather like most of us still picture her today. Thank you Shinichi. She still is one of the most memorable, isn’t she? This was very interesting to read Merry. So many things I didn’t know about this icon.